This is a real decoration, a harmonious complement and an integral part of the hotel and restaurant complex, where they are fed with hearty, tasty dishes cooked with kindness and love. Restaurant “Sobkoff” will always meet you with dishes not only of traditional Ukrainian or Russian cuisine, but also dishes of European cuisine. On the open fire for guests prepared shish kebabs (shashlyk), steaks from meat and fish, grilled vegetables. 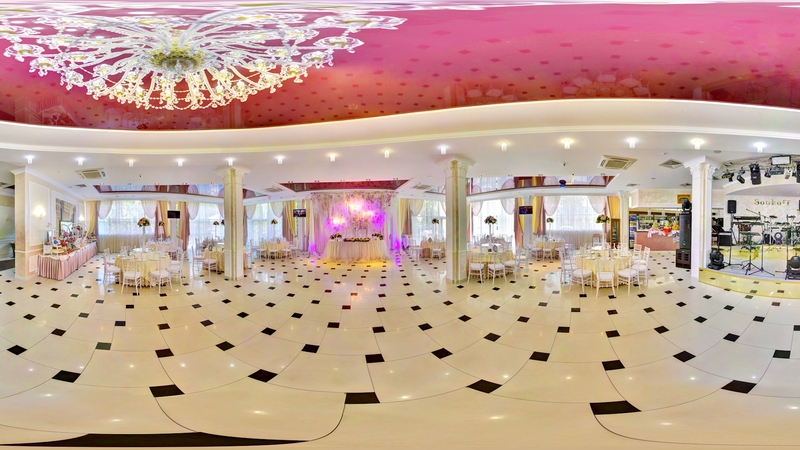 Located on the 1st floor of the main hall, where as in a fairy tale, you can throw a banquet to the whole world, with a large number of invited guests of at least 200 people, music, songs and dances. Always elegantly decorated, comfortable modern furniture, the musical team “IMPERIAL”, a bar, musical television channels on numerous plasma TVs, indoor and outdoor dance floors, powerful air conditioners and heated floors, adjustable lighting of the hall only strengthen the festive atmosphere of the celebration. Located on the 2nd floor with a capacity of up to 100 people does not reduce its importance and festivity in front of the Big Banquet Hall. There are almost all previously described elements of decoration and amenities, and the opportunity to relax at tables on a spacious outdoor terrace, the ability to breathe fresh air only strengthens the desire to give preference to this particular room. Located on the 2nd floor with a capacity of no more than 20 people, will allow you to enjoy both comfort and taste of dishes prepared by our chefs, masters of their craft. In the bar of the restaurant “Sobkoff” there is always a variety of drinks – from national to world famous elite drinks. And if you decided to relax at a friendly party or discuss in a narrow circle creative or commercial plans? We also took care of this! The opportunity to breathe in the heady air of a flowering orchard, the coolness of the lake water surface with a waterfall and to feel itself in a different national and historical setting of a wooden house is provided by a complex of 9 wooden houses assembled from the real Transcarpathian fir-tree. We are open for you daily from 10 hours 00 minutes to 24 hours 00 minutes.